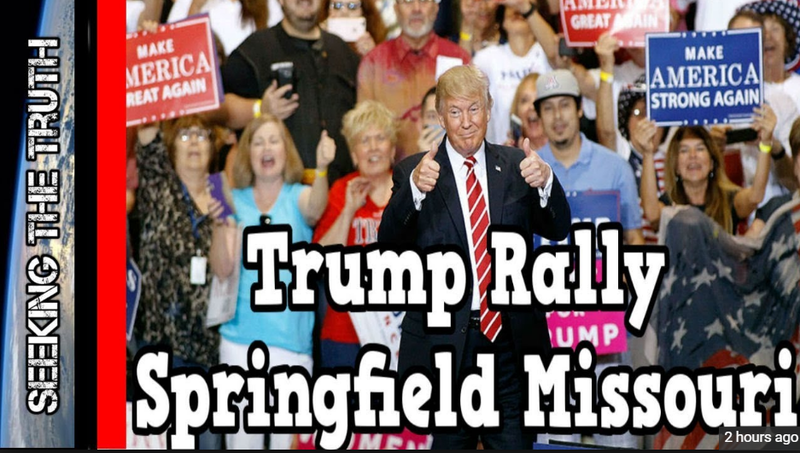 Tonight, We Saw Another Jam-Packed Auditorium At A Raucous Rally In Springfield, Missouri, As The Trumpster Campaigned For For Josh Hawley, The Republican Challenging Sen. Claire McCaskill In This Year’s Election. Was The Two-Mile Long Line Of Trumpsters Outside, Waiting For A Chance To Get Inside The JQH Arena. That’s because during the next 46 days until the most important Mid-Term Elections in History (since the 2018 Mid-terms are now a National Election –more than mere mid-terms– and a referendum on everything Trump has accomplished), while Congress and the Leftist Media Establishment will continue to lie and say really stupid things without a smidgen of journalistic integrity in their effort to advance their Radical Leftist Agenda. Beloved Whistleblower Publisher Charles Foster Kane Says The Conservative Agenda Is Now Completing Working On Donald Trump’s Sixth 100 Days To Make America Great Again. Today Is Day Number 609. 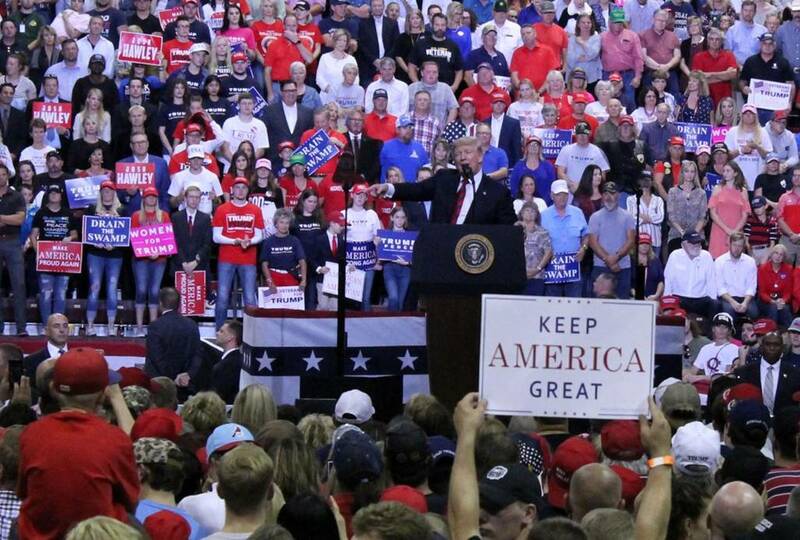 There Are Now Only 773 More Days Until Trump’s Re-election Day on November 3, 2020. 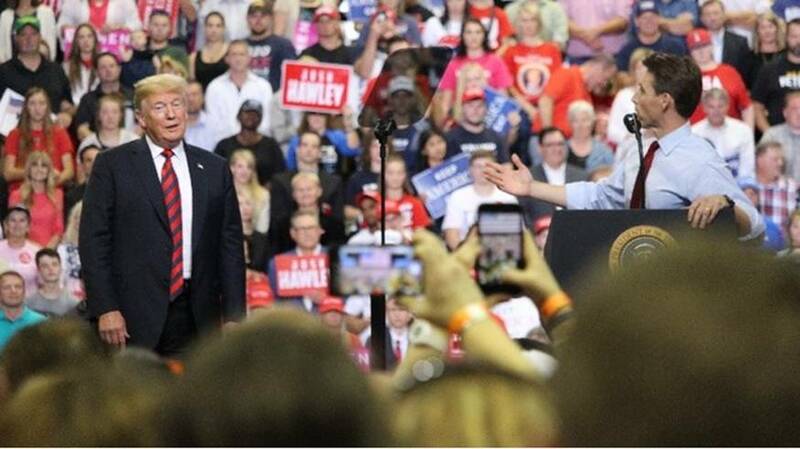 This entry was posted in Uncategorized and tagged Biased News Media Never Shows You That, Crowds Inside Were Enthusiastic, It Sure Looks Like 2016 All Over Again, Josh Hawley, Trump Rally in Springfield Missouri, Two-Mile Long Line Of Trumpsters Outside on September 21, 2018 by charlesfosterkane.